My husband and I live in Calgary and have this property as our vacation home. I am a nurse and my husband is a lawyer. I am originally from the Laurentian mountains north of Montreal and my husband is from Toronto. We have lived in Calgary for many years. We have 2 children who are in their late teens. We ski as a family at Panorama and our children trained in the racing program on the hill for many years. We all love the outdoors, skiing, golf and hiking. Panorama is the perfect place to enjoy all of these activities with out ever leaving the resort. We chose Panorama because we seldom have to leave the resort once we arrive. The skiing is fabulous and the golf course is just beautiful.There are miles of beautiful hiking trails and cross country trails just across the street from out home The drive to our home from Calgary is one of the most beautiful in the world. We drive through Banff National Park and Kootney National Park. The mountain views are spectacular and there is always wild life to see such as deer , bears, moose and mountain goats. We have the best location on the resort because we are a 2 minute walk to the golf course and the ski hill. In the winter we love to spend a day on the hill and then light a fire and have great dinners with our friends and family . In the summer we golf and spend the evening on our deck overlooking the golf course and the fabulous views of Monument Peak. The hiking trails are endless which are used as cross country ski trails in the winter. Our home is beautifully maintained and very warm and inviting. We are a 5 minute ski back to our home from the Sun bird chair lift. We are a 2 minute ski to the hill down our street from our home. Large wood burning fireplace in living room. There is a large supply of wood in the garage. Large living room area seats three on the couch . There are also three arm chairs and two leather stools. Very well equipped with a large fridge , gas stove, warming oven and micro wave. All dishes , glasses, eating and kitchen utensils are supplied. Beautiful large antique pine dining table that seats 8 very comfortably and can easily accommodate 10. A small flat screen tv in the main living room and a larger flat screen in the play room. Can be rented at Pete's Marina in Invemere. A 15 to 20 minute drive from our home. Beautiful views from our large deck with a table and chairs. Rentals are located at the main lodge in Panorama's Ski Tip building. The resort tennis courts are a 15 minute walk or 3 minute drive from our home. We overlook the 15th and 4 and 5th holes from our home. The pro shop is a 2 minute walk from our house. The communal pools are a 2 minute drive from our home. In the summer there are water slides and a hot pool / sauna that is open all year. Steam shower, double heated garage, wrap around decks and patio furniture, antique pine furniture, down duvet covers, chintz fabrics, oriental rugs, oil paintings, wood provided for fireplace. The house was fabulous with plenty of room for all 10 of us. We are happy you had a great holiday!!! We had the pleasure of staying here for 5 nights over New Years eve to ring in 2019. The home is beautiful, the photos don't do it justice. The fireplace is beautiful on the main floor with lots of room, perfect for 2 families with more space than you need. The garage is very long with space for 2 large vehicles. The owners were very helpful and were easily available during the stay to answer any questions. We skied every day with easy access to the Sunbird chair, only a few minutes walk. Highly recommended!!! Hi Kevin, Im so happy you enjoyed our mountain home and had a wonderful holiday. Thank you for your kind comments. We loved our stay, took our four grandchildren. Terry was amazing. Thank you for sharing you home with us. The views truly amazing. We loved having you as guests!! I’m so happy everything worked out well for your family. Very comfortable for large family ski-trip. Comfortable home with plenty of space. Easy and convenient access to ski hill. Super! 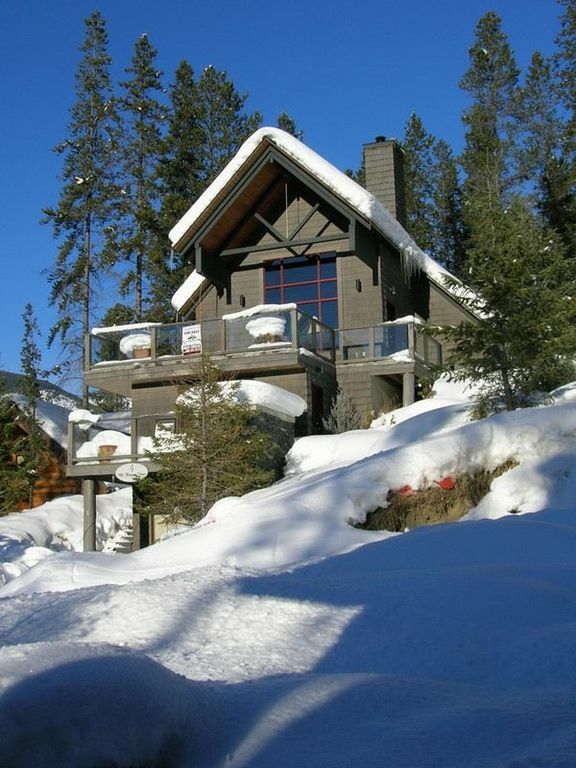 Beautiful house in an ideal location next to the golf course and ski lift. We had a great weekend in Panorama at the house. It's beautifully maintained and stunning inside. Lots of space for 10 people. Terri was helpful and a great host. Thanks Brittany!! I’m so happy you had a great weekend and enjoyed our home. We really appreciate your kind comments. Great property for families. Spacious and well appointed . Our home is located in the mountains in beautiful British Columbia. We have an award winning golf course a well as a fabulous ski hill both with in 2 minute walk from our home.The Heli skiing pad and office is a 10 minute walk from our home The hiking trails are directly across the street from our front door.The resort also has tennis courts , mountain biking, swimming pools and water slides, hot tubs and saunas.There are several restaurants and bars.